Cracked, deformed, or stained teeth can make you feel self-conscious and have a negative impact on your self-confidence. The dental experts at Plaza Dental Group recommend porcelain veneers for a smile that's both functional and beautiful. Located in Ventura, California, the skilled team at Plaza Dental Group can help you be your best with veneers customized to suit your needs. Call or schedule a consultation online. Veneers are thin porcelain shells designed to cover the front side of your teeth and enhance your natural smile. 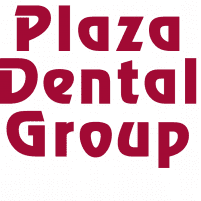 One of the experienced cosmetic dentists at Plaza Dental Group custom-fits each veneer to the individual teeth in your mouth, then bonds the veneers to your existing teeth. Veneers cover blemishes like gaps, stains, cracks, or misshapen teeth. In addition, they help reinforce frail teeth. At Plaza Dental Group, porcelain is the material of choice for veneers because it is the most stain-resistant material. Besides being incredibly sturdy and durable, porcelain more closely resembles your actual teeth enamel, too. What should I expect if I decide to get porcelain veneers? Following the initial consultation to review your desired results, you return for a follow-up appointment. A cosmetic dental specialist then removes a tiny layer of enamel from the surface of your existing teeth to make sure the veneers bond and fit properly. Once your teeth are prepped, your dental practitioner makes an impression of your teeth, so the dental lab can create your custom porcelain veneers. When your veneers are finished, you return to the office, and your veneers are fitted one by one over your existing teeth. After cleaning and etching the surface of your teeth to prepare them for the bonding process, the dental expert applies a special cement and light source that causes the adhesive to bond securely to the porcelain. In no time at all, your veneers are securely in place, and you have a beautiful and improved smile. The expert team at Plaza Dental Group can address any questions or concerns you might have about getting veneers. If you want to learn more about the convenience of custom veneers to improve your smile, call Plaza Dental Group, or schedule a consultation using the online booking tool.